The Kovair-Pivotal Labs partnership has been initiated with the focus to introduce seamless integration of data and flow execution between multiple ALM tools and Pivotal Tracker. Pivotal Tracker is an agile project management software used for iteration planning of project requirements. It helps to break down epics to create stories, estimate and prioritize backlogs, associate related task, provide a real time view into project progress and track team’s velocity. With the Kovair-Pivotal integration in place, the project managers can use Tracker for project planning, scheduling, and backlog creation. They can communicate simultaneously with various stakeholders who might be using host of other disparate tools. The integration enables IT organizations to remove the silos that stand in the way of effective collaboration between large teams and multiple stakeholders, improve data monitoring activity across the best-of-breed connected tools, and obtain complete traceability leading to better management of software delivery cycles. Relationships between various artifact data residing across multiple tools can be synchronized through Kovair – Pivotal Tracker integration thereby establishing a cross-tool traceability and deeper insight into project progress. Entire integration is a simple three-step configuration using Kovair’s web based UI that makes it easy to setup without the need of writing a single line of code. 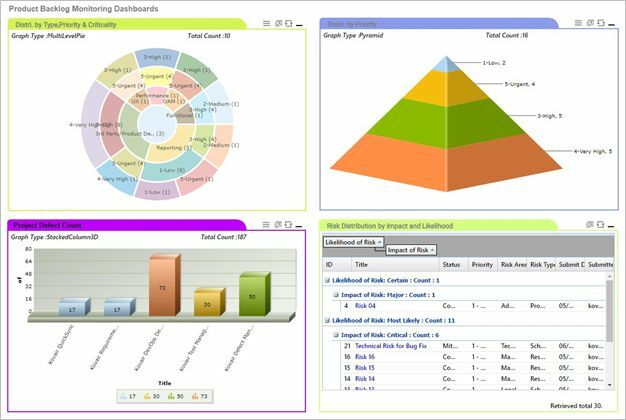 Users can directly monitor the entire integration from within Kovair’s application UI and the generated holistic reports centrally outline the total rate of success or failure in sync. By syncing relationship links across tool objects Kovair Omnibus integration is able to achieve complete end-to-end traceability. Cross-phase/cross-team multi-tool integration and automated workflows benefit in removing organizational silos. Pivotal Tracker artifacts are easily integrated with other tools, thereby enabling seamless integration of data like the lookup values, custom work item types, fields and lookup values. Kovair’s ESB approach to integration makes it independent and easily adaptable to any version upgrade, modification or addition of any new tool that needs to be integrated with the Tracker. All that the user has to do is install a new version of the Kovair adaptor and get the integration running by executing the three-step setup. Developers using Kovair’s plugin for different IDEs can easily access information from other tools, modify it as required and keep on updating status as the task progresses. A new project is created in Rally under a pre-existing workspace. 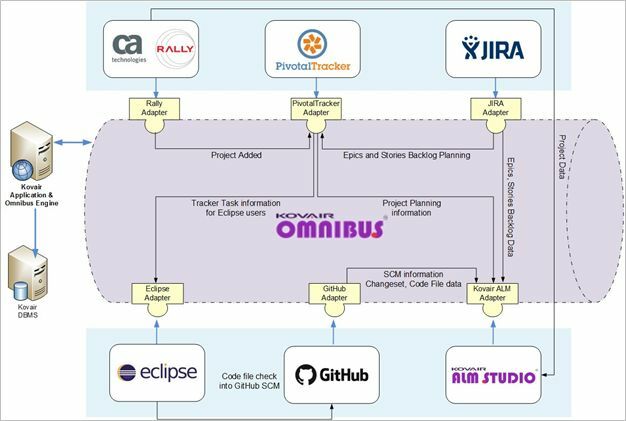 With the help of the Omnibus Integration, the project is then synced into Tracker, where detailed planning of the project is done. The primary epics are defined in Tracker, and that gets synced to JIRA, where the epic is broken down into multiple user stories. The stories are again synced back to Tracker, where the PM team can view the projects, their associated epics, and the linked stories created in JIRA. Once the planning is completed, the developers are notified through the integrated Pivotal process about story backlogs that need to be worked on. The development team works on the stories in the Eclipse IDE and checks in the file into the Git SCM. Kovair provides an Eclipse plugin that is used to view the Tracker story details and also allows users to check in the file against the Tracker stories. All data pertaining to the activities performed in Tracker, Rally, and Git are stored in Kovair’s own central repository. It is from here that the entire hierarchical structure – from top-level project to detailed information of commit and code file becomes trackable from one single window. 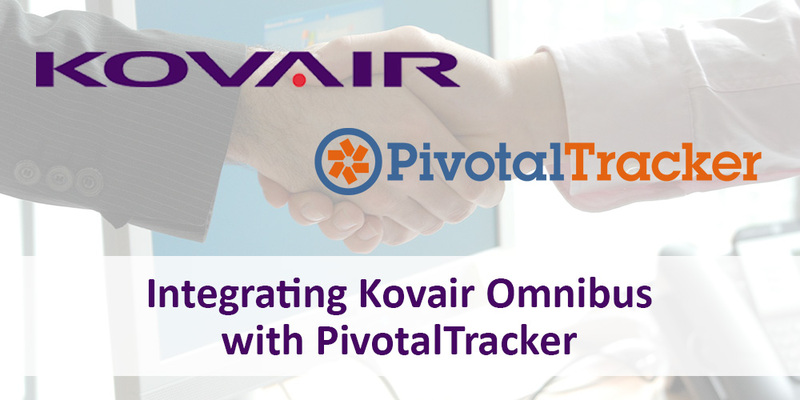 Kovair’s Omnibus integration with Pivotal Tracker helps to remove information silos and accelerate automation across multiple tools. As a result, multiple best of breed tools can coexist during the development phase without the risk of losing efficiency or problem. Older data can be migrated to ensure Pivotal Tracker introduction in a development environment has complete information right from the start. Being easy to setup and enhance, organizations and team members can easily transition from any tool to tracker by setting up an integrated lifecycle within a minimal setup time. Kovair is working with a vision to help Pivotal Tracker users so that they can seamlessly integrate with other tools. The partnership aims to provide users with alternative options such as the cloud based SaaS solution or an on premise installation that comes with an affordable startup price. Connect with sales@kovair.com today! Arunava Bhattacharya is a Software Engineer at Kovair Software, specializing in corporate solutions and services. Designing configurations to satisfy customers' ALM use cases is his core competency. He also takes keen interest in technical writing and photography. Testers Need Serious Help – Are We Listening to Them?